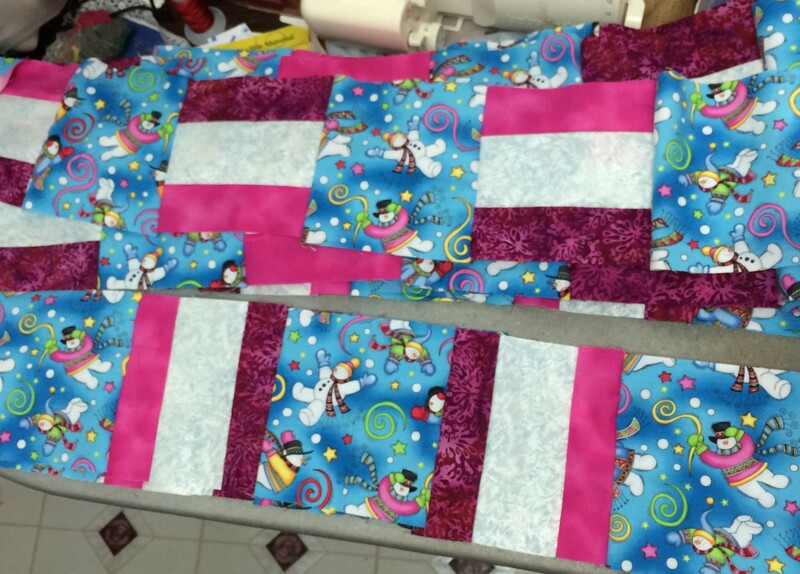 the rows together to make the quilt flimsy. The line of red you see hanging from the top is the binding. I’m hoping to find time to quilt and bind this before the weekend so it can go to someone who needs it. 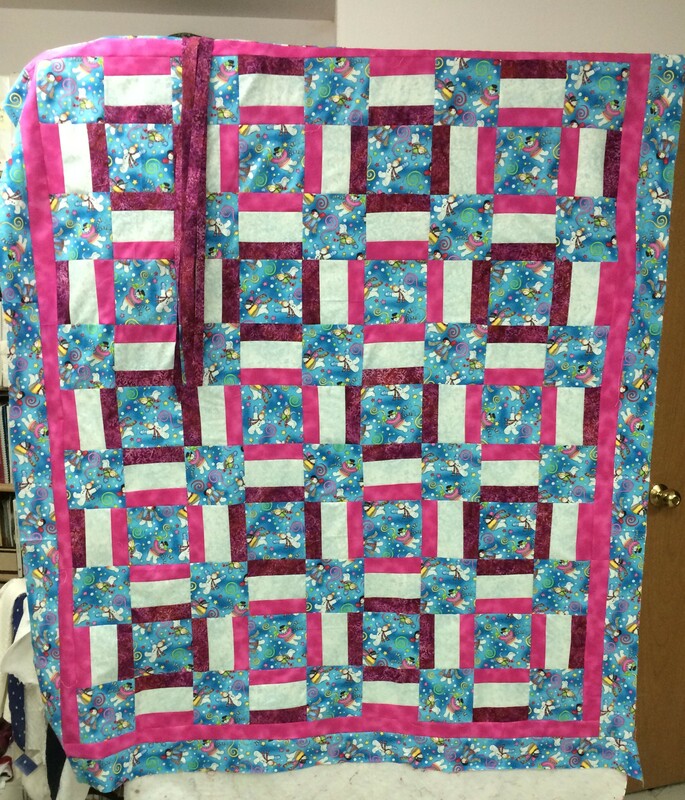 But you can see what a fast and easy quilt this is. The blocks are 6″ which is part of the reason it is fast. This particular quilt measures 58 x 69″ which is a very good size for wrapping in or crawling under for a nap. I do hope some of you will soon have one to show us.